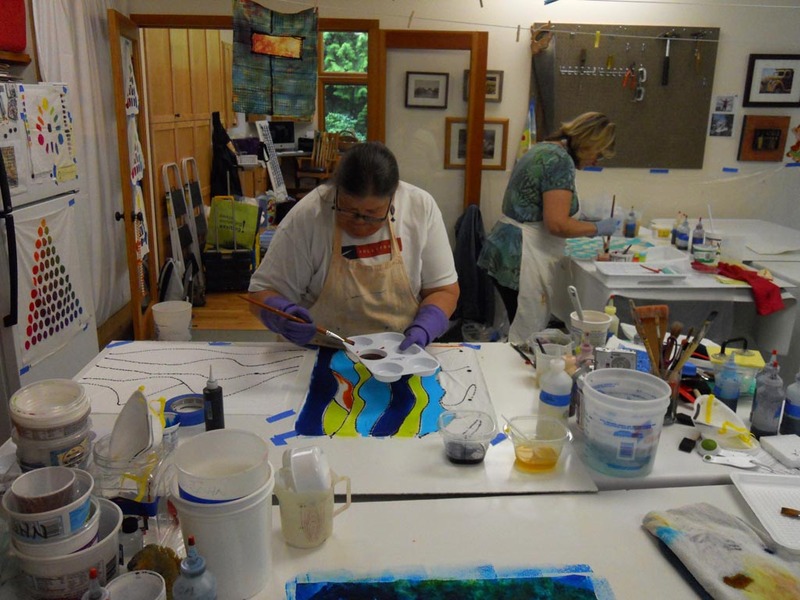 Here’s the skedule and regristration information for Ann Johnston’s new workshops. Registration opens soon, January 10th, so make your plans for an awesome experience! 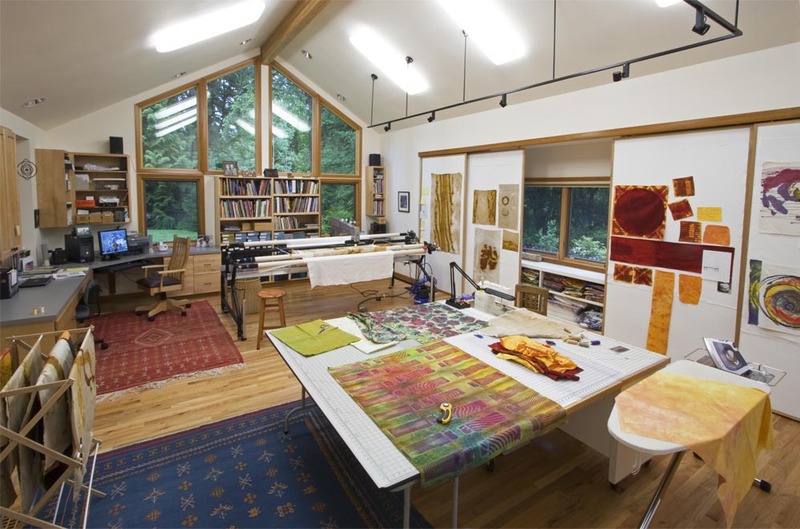 Join Ann in her own studio in Lake Oswego, Oregon, for fabric dyeing and quilt design workshops. To insure maximum individual attention to each person’s artistic interests, there will be only 4 participants in each of the 2012 classes. Registration OPENSfor all workshops January 10, 2012. Registration CLOSES for all workshops February 10, 2012. > Email Ann with a brief description of your particular interests in order to help her place you in the most appropriate workshop. Registrations will be confirmed in the order that they are postmarked. If the workshop you wish to take is filled, Ann will return your payment or make arrangements with you for another workshop or a place on a waiting list. Would You Like to Try Thread Painting? I only hope SOMEDAY I can travel to one of these workshops. 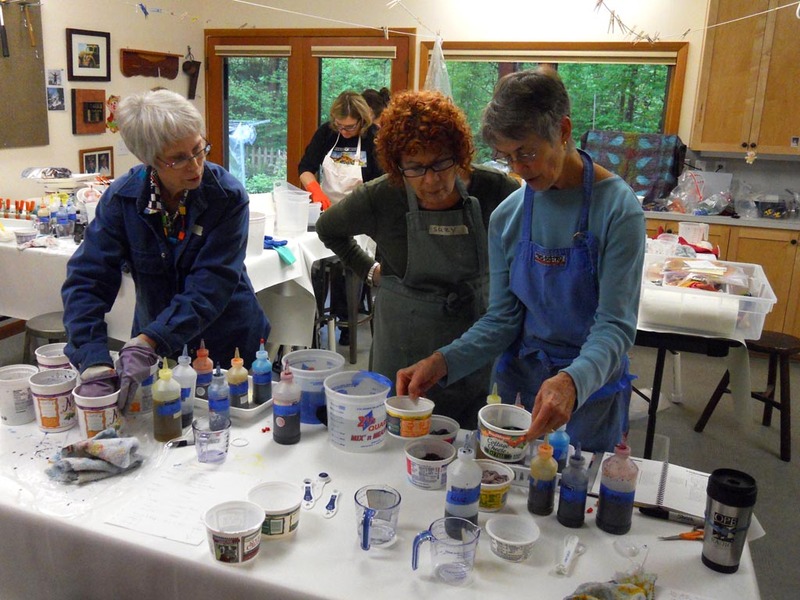 The Dye Painting and Printing workshop is espcecially appealing to me. I will definitely stay-tuned throughout the year and afterwards. I would too. Ann is amazing and her books are awesome. But being in one of her workshops with only 4 other people, can you imagine how much you’de learn? Would love to participate if I lived closer. Gook luck with it though. I just thought of Chris Daly as well. She does some beautiful work. I’m not sure if she has any tutrials on her site, but it’s worth a looking anyway just to enloy the pictures. Her link is in her comment here.